The ABLE Act was passed by Congress in 2014. ABLE accounts create a new option for some people with disabilities and their families to save for the future for specific expenses, while protecting eligibility for SSI, Medicaid, and other public benefits. The National Council on Disability (NCD) has been charged by Congress to provide recommendations on how to improve ABLE implementation. 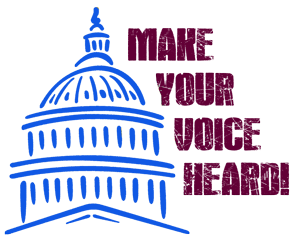 We are asking individuals with disabilities and their families who may have looked into an ABLE account to complete this survey to share their experience speaking to federal or state agencies about the ABLE account and its impact on eligibility for public benefits. The ABLE National Resource Center, a consortium of over 20 leading national disability organizations, will collect survey responses and prepare a report with recommendations to improve ABLE Act implementation activities. Here is a link to the survey – please complete the survey by December 5th, 2018. Thanks for your help to inform policy makers about how to improve the implementation of ABLE accounts. Note: Wisconsinites with disabilities and their families may establish an ABLE account in another state as Wisconsin does not have an ABLE program. Click here for more information.